Custom Products Made for You! Desrochers’ Leathers can create leather goods or personalize its own products especially for your organization. By showcasing your company’s logo or colours, you will enhance your entire brand. Leather goods make great gifts! 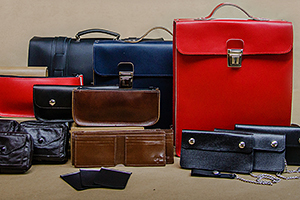 Has the demand for your leather merchandise gone beyond your workshop’s capacity? 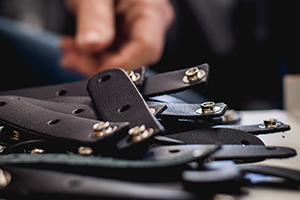 Do you need a leather component to brilliantly complete products your company manufactures? Do you need cutting, sewing or hot stamping? Desrochers’ Leathers can produce partially or completely your leather products in its workshop.